Who is in charge of Saturday’s game . . . . The man in charge of Rotherham United’s visit to the DW Stadium on Saturday where they take on Wigan Athletic is CHRISTOPHER SARGINSON from Staffordshire. Chris has been on the National List of Referee since 2008 with his first game being Morecambe v Rotherham in the August at Christie Park. Mark Lynch and Ryan Taylor put the Millers two-up before half-time with Neil Wainwright halving the deficit for the Shrimps on seventy-seven minutes. A second goal from Lynch on the stroke of full-time gave the Millers all three points. This is the second time this season Chris has been in the middle for a Millers game, the first time being in September when Bury were in town. Kieffer Moore opened the scoring on twenty minutes with Bury’s Jermaine Beckford equalising fourteen minutes later. Nine minutes into the second half Moore scored again but this time Nathan Cameron made it two-two. With a minute of the game to go Richie Towell scored to give the hosts all three points. Cameron and Alex Whitmore for Bury got yellow that afternoon. Chris was in charge of a Rotherham game in the Capital One Cup in August 2015. The Millers beat Cambridge at the New York Stadium with the only goal of the game coming on the stroke of half-time from Jordan Bowery. 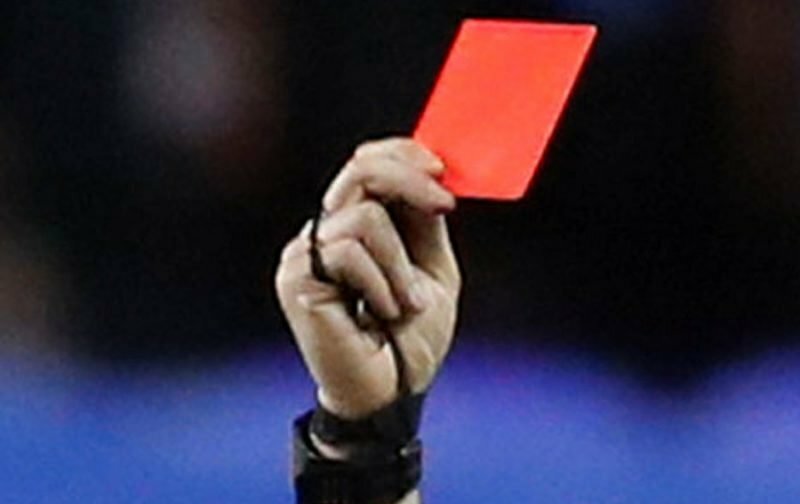 The only yellow card of the evening went to Richie Smallwood. Chris has been in charge of a few Millers games over the years the last one in the League being at the New York Stadium against Peterborough in September 2013. The game was the Millers first loss of the season with the only goal of the afternoon coming from the penalty spot after Kari Arnason jumped with his arms aloft and the ball hit his arm and Mr Sarginson immediately pointed for a penalty. Grant McCann took the spot-kick and sending Scott Shearer the wrong way put the ball into the back of the net. Arnason, Lee Frecklington, Rob Milsom and Ben Pringle were booked on the day. The season before Chris was in the middle of our Tuesday night game at The Crown Ground when Accrington went ahead on two minutes when Dean Winnard opened the scoring. Three minutes later Daniel Nardiello equalised and three minutes into the second half he scored again giving the Millers all three points. The 2011/12 season saw Chris and the Millers meet three times. October at Don Valley saw a one-all draw with Shrewsbury (Lewis Grabban for the Millers with Shane Cansdell-Sherriff getting an equaliser), our three-two win away at Hereford two months later (Johnny Mullins and Alex Revell put the visitors two-up but Yoann Arquin and former Miller Delroy Facey made it two-all going into half-time. Johnny Mullins got his second and the Millers third on the sixty-fifth minute) and he was at Don Valley again in March for our one-all draw with Crewe (Harry Davies put the visitors in front from the penalty spot and Lewis Grabban made sure of a point in the second half). Our Friday night game away at Lincoln in March 2011 saw the Millers without a Manager as Ronnie Moore had been sacked at the beginning of the week. It also saw our biggest win for some years with an Ian Thomas-Moore hat-trick and goals from Danny Harrison, Ryan Taylor and Jason Taylor giving the Millers a six-nil win. Lincoln`s Pat Kanyuka was given a red card. Our three-one win away at Macclesfield the season before saw Chris in the middle. Adam Le Fondre and Tom Pope put the Millers two in front with Mathew Tipton pulling one back before half-time. Three minutes from time Danny Harrison scored to make sure of all three points. Running the line on Saturday will be Ravel Cheosiaua from Worcestershire and Richard Wigglesworth from South Yorkshire with Anthony Moore of Manchester joining them as Fourth Official.